VANCOUVER, CANADA – Kaizen Discovery Inc. (TSXV: KZD) announced today that it has entered into a non-binding Memorandum of Understanding (MOU) with ITOCHU Corporation of Japan. Under the terms of the MOU, ITOCHU would receive a significant minority stake in Kaizen's Pinaya Copper-Gold Project in southeastern Peru, in exchange for sizable exploration financing. B. Matthew Hornor, Kaizen's President and CEO, commented, "This initial agreement sets in place the framework and commitment to continue discussions toward a comprehensive, binding agreement. We expect to complete definitive documentation in early 2016, after which we will begin a comprehensive exploration program to test Pinaya's potential to host large-scale, copper-gold porphyry and skarn systems." Kaizen acquired 100% of the Pinaya Project from AM Gold in October of this year (details of the Pinaya acquisition and the project's current Mineral Resources are available in Kaizen's October 26, 2015 news release). The project covers 192 square kilometres and includes more than 25 kilometres of strike length within the Andahuaylas-Yauri Porphyry Belt in Peru's provinces of Caylloma and Lampa. This belt hosts numerous productive and world-class porphyry and skarn systems, including Las Bambas, Tintaya, Constancia and Haquira. A framework agreement entered into between Kaizen and ITOCHU in January 2014 established a collaborative working arrangement under which both companies agreed to evaluate opportunities to explore and develop selected, high-quality, international mineral projects. 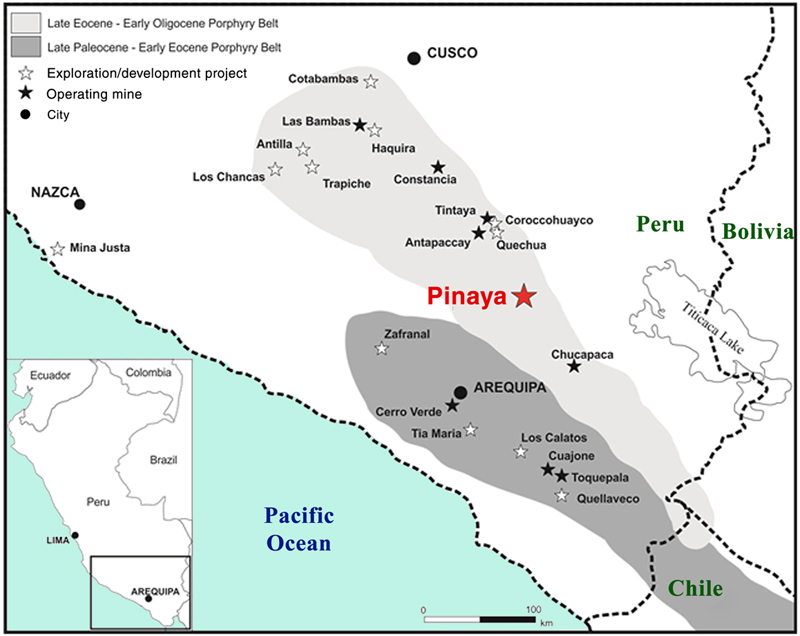 Figure 1: Location of the Pinaya Copper-Gold Project in Peru. Photo 1: View from the highest point on the property, looking south across the resource area. Drawdown on C$5.0 million unsecured revolving loan facility provided by majority shareholder HPX TechCo Inc.
Kaizen also announced that it has, for the first time, drawn down approximately C$0.7 million on the C$5.0 million unsecured revolving loan facility established by its majority shareholder HPX TechCo Inc. (HPX). The facility previously was undrawn and the balance of approximately C$4.3 million remains available to be drawn in the future by Kaizen. The facility was established in 2013 as part of the reverse take-over transaction with HPX that established Kaizen. Under the terms of the Inter-Corporate Loan Agreement between HPX and Kaizen dated December 4, 2013 that creates the facility, HPX made available to Kaizen an unsecured revolving loan facility of up to C$5.0 million, which may be drawn by Kaizen from time to time, and increased by HPX from time to time. There are no restrictions on the use of amounts drawn down on the facility. HPX is, on notice, entitled to charge interest at 3% per annum, compounded monthly, on the outstanding principal balance plus all accrued unpaid interest thereon, if any. In order for HPX to exercise its right to charge interest, it must provide Kaizen with 30 days advance written notice prior to the date interest will start accruing. On December 17, 2015, HPX provided Kaizen with such notice. The outstanding principal balance plus all accrued unpaid interest thereon, if any, is repayable in full by Kaizen within 90 days of demand, and Kaizen may prepay any amount of the outstanding balance, without bonus or penalty, by providing 10 days advance written notice to HPX. Statements in this news release that are forward-looking statements are subject to various risks and uncertainties concerning the specific factors disclosed here and elsewhere in both Kaizen's and AM Gold's periodic filings with Canadian securities regulators. When used in this news release, words such as "will", "could", "plan", "estimate", "expect", "intend", "may", "potential", "should," and similar expressions, are forward-looking statements. Information provided in this document is necessarily summarized and may not contain all available material information. Forward-looking statements include, without limitation, statements regarding the expected completion of the MOU and the subsequent contract in early 2016, the future growth and long-term strategy of Kaizen, the discovery of significant additional cooper and gold mineralization at Pinaya, statements regarding Kaizen's plan to begin a comprehensive exploration program to test Pinaya's potential to host a large-scale, copper-gold porphyry system and other statements that are not facts. Forward-looking statements are based on a number of assumptions and estimates that, while considered reasonable by management based on the business and markets in which Kaizen operates, are inherently subject to significant operational, economic and competitive uncertainties and contingencies.